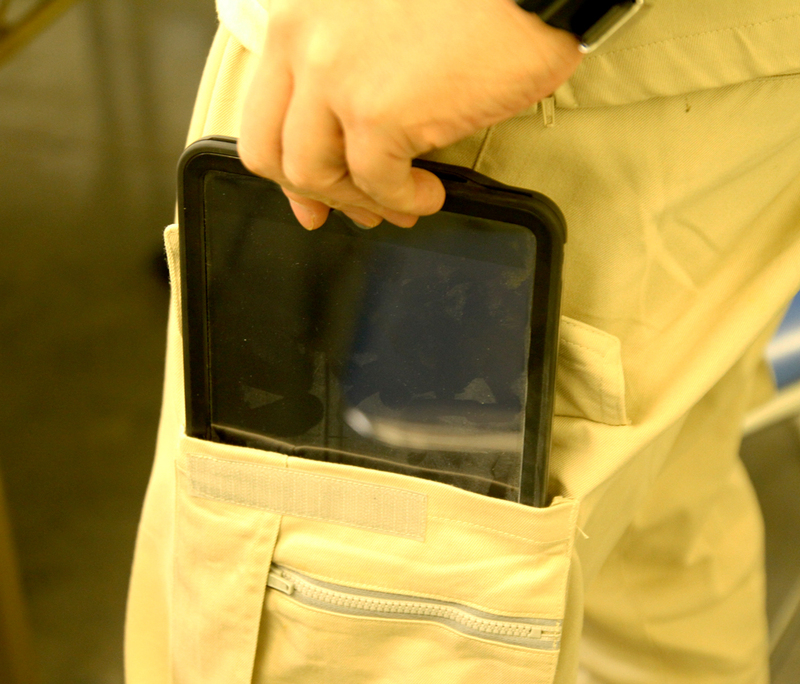 On April 1, 2013, iPad nuud of LIFEPROOF was officially introduced at the maintenance department of ANA. 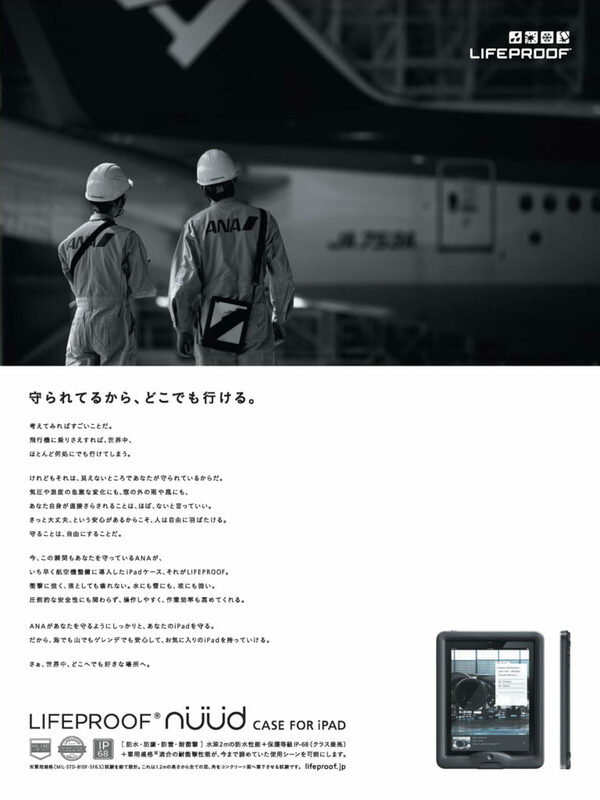 ANA had previously introduced iPad for pilot / cabin attendant, but this time the introduction of iPad is totally different from the viewpoint so far, the main target is to improve efficiency of work. Efficiency improvement of mechanic’s activities. For example, by digitizing the manual, the mechanic will not carry many manuals. It will not carry heavy maintenance documents and it will always be able to share new data. 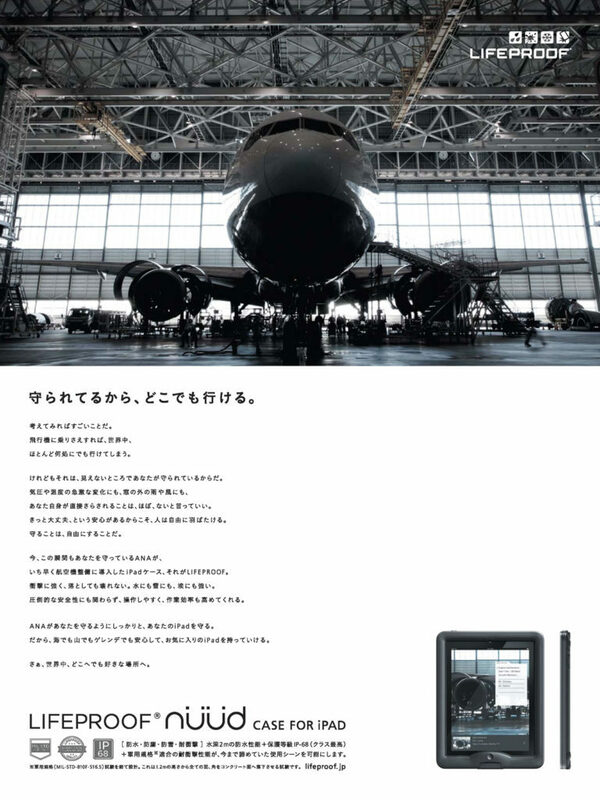 It instantaneously judges the necessary manual even if a fault occurs in an airplane parked in a rap, and reduces the time for mechanics to return to the back office by transferring, also in the next problem area It is possible to move instantaneously by transferring data. 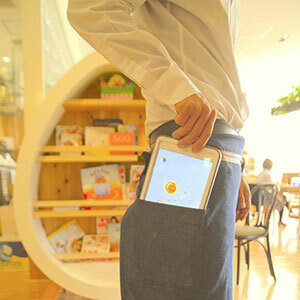 It can not only improve efficiency but also shorten maintenance time. In addition, enabling reliable maintenance by setting up an environment that can instantly study the transfer of video and the examination of faulty location is also a major improvement point this time. However, at the same time as being expensive, terminal points’ weak points that can be placed in falling and rainy environments and narrow environments were mentioned as concerns in the process of being very introduced in ANA. When the ANA side discovered LIFEPROOF iPad nuud, it was the very moment that a person in charge called out the word “ideal case” as a very big partner as a partner. Currently, ANA is planning to use 500 people by LIFEPROOF iPad nuud by the summer by the summer. “The stabilization of the mechanics work hours of our mechanics will greatly contribute to the safety of consumers (customers) traveling, business hours and safety in operation,” the ANA mechanics very much at the time of the test It was impressive that he was talking with a soft smile.